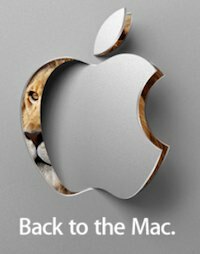 The Back to the Mac event is scheduled to be live streamed directly from Apple today. To watch the live video feed, go to http://www.apple.com/ at 10 AM PDT using Safari on either a Mac or iOS device. Our quick predictions: Mac OS X 10.7, new MacBook Air, iLife ’11… Enjoy! i wil definetely get back to this site, i have just added this to my fav list on stumbleupon.